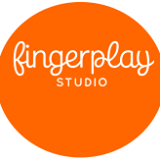 FingerPlay Studio - Get Involved. Make Friends. Enjoy Motherhood. A MOD Moms business. FingerPlay Studio offers well crafted supplies for knitters, crochet enthusiasts, and fiber artists. Product offerings are chosen to fit a variety of tastes and budgets. Classes and special events are all designed to encourage those new to fiber arts and inspire experienced crafters. If there is something you would like to see us offer, we welcome your suggestions.